Before I invest in a better exhaust system, I wanted to make the existing one functional so I can use the car. We can upgrade later. First order of business was to drop the exhaust system which was installed using some really creative hangars. Then off came the header. 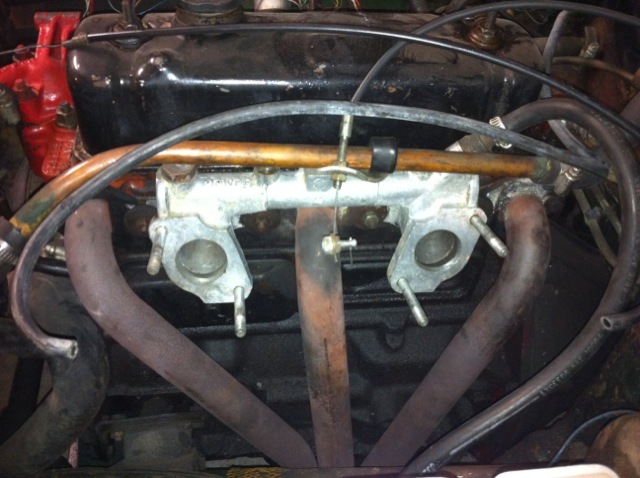 The header was cracked away from the flange on the rear most port, explaining the loud exhaust leak under the hood. I welded up all 3 ports so it should be solid and leak free. Next I eliminated the catalytic converter that didn't belong there, as the honeycomb inside was destroyed and rattling around. I welded a pipe in and in the back I cut out the tail pipe and replaced it with a muffler instead of running a straight pipe like before. 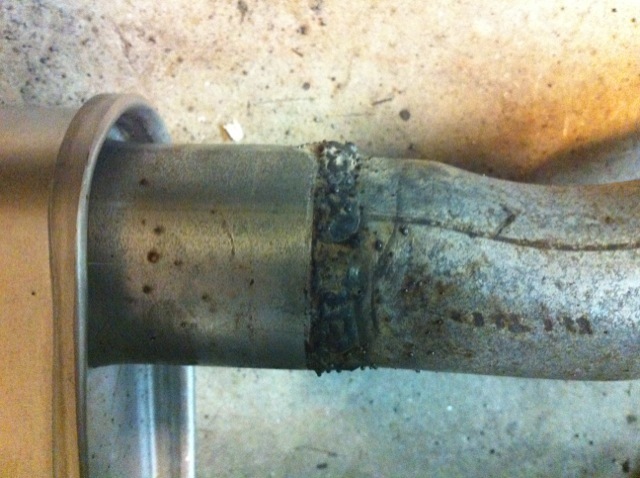 I also welded up some exhaust leaks where the pipes had been welded together before. I noticed that my welds were coming very bad. I found the problem to be that the wire was not coming out continuously, it was stopping. I had to take the wire feed assembly apart to find that the feed wheel was in upside down. 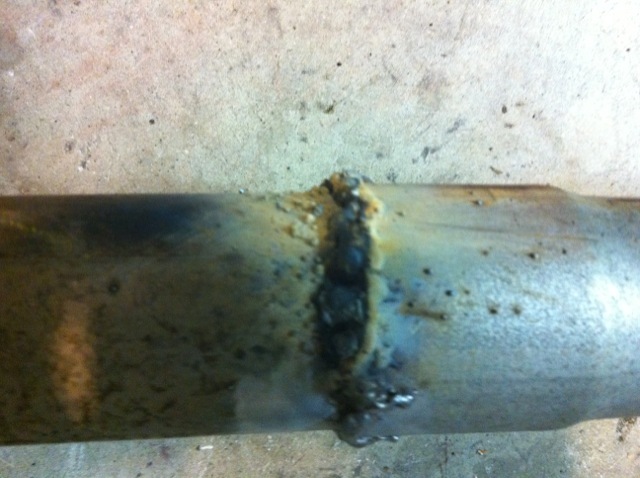 While not a master welder, you'll find the weld in the second picture is much nicer, and probably much stronger. 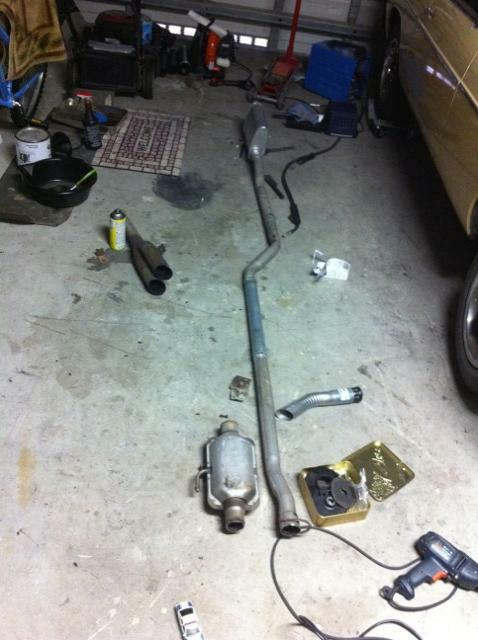 Next step is to get the finished exhaust assembly back in the car and see how it sounds!